By the Numbers: Who is the BYU basketball BMOC right now? 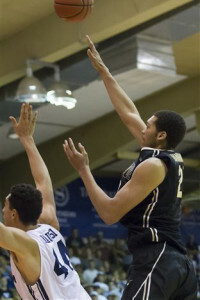 Note: This is the first of a three part series on BYU Forwards and Centers, coming after the first third of the season. The second part will come after 20 games have been played and the third installment will come at the end of the season. 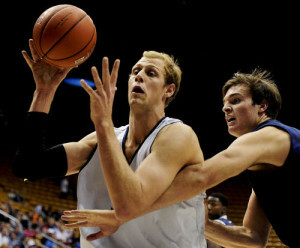 To read a statistical anaylsis of the BYU guard line go here. So one third of the season is already over. The pre-season is interesting for BYU because Rose likes to use his bench extensively in the cupcake games but goes with who he thinks will be in the regular season rotation in the more competitive ones (e.g. SDSU, Pitt, Utah). BYU is staying true to form this season winning the games they should win and losing the ones that are close. It’s a good sign that BYU has not dropped any gimmies and a bad sign that they have not had even one signature win thus far. And with 15 players on the roster battling for playing time (Chatman is redshirting, Aytes is out with injury, and Davis is sitting per transfer rules) there are still a lot of question marks for this season. 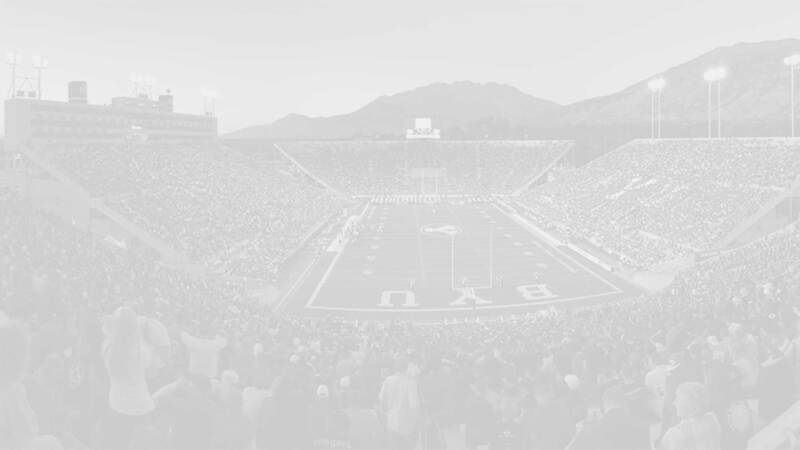 To understand how strong this team really is BYU insider has provided some statistical analysis for each of the individual players. Let’s start with the Forwards and “Centers” (the guard line will be featured later this week). Who is the Big Man on Campus? So Rose has gone with the “by committee” route this season with no big man getting more than 20 minutes per game but with everyone getting a small piece of the action. As a group the bigs have performed as well or better than expected. If you add up all the minutes and divide by two you see that with forces combined they are doing o.k. in holding down the middle. 9.9 PPG and 9.0 RPG are Austinesque-type numbers, which are certainly respectable. Unfortunately the rest of the numbers are also very much what we’ve come to expect from our most used big-man (i.e. low). 0.7 blocks per game… seriously? We need someone banging down there. The shooting numbers are very revealing. The fact that the Big 7’s 134 total field goals attempts are less than Tyler Haw’s 154 attempts is discouraging. To add insult to injury a full 17% of the big’s shots have been three pointers. Austin (1/5), Nielsen (3/11), and Nixon (1/6) should have to run an extra hour of ladders for every three point shot thrown up… not only is it a waste of a shot, but it means our bigs are not hanging out in the post where they belong. Stop shooting three pointers and the 9.0 average rebounds per game goes up to 10-11 rebounds per game, which equated to 2-4 more point per game which could have resulted in an undefeated cougar team right now. Two years ago we had Bronson Kaufusi to throw some weight around. Last year we had Eric Mika. This year we have do-everything guard Kyle Collinsworth? Yep, at 17 he has the most offensive rebounds on the team, at 47 he has the most defensive rebounds, and at 5 he’s tied with another guard (Tyler Haws) for the most blocks on the team. That’s just embarrassing. This is the tallest group of BYU bigs we’ve probably ever had (four players 6’10” or taller), yet it’s the worst rebounding and blocking group we’ve seen in a long time. BYU ranks 1st in the country in shots taken so you would expect them to rank high in total rebounds. Sure enough, they rank 8th in total boards. But our top rebounder on the team is a guard and we ran 29th in the country in offensive boards. Clearly we need someone banging around down low, doing some damage. Also, as a team BYU ranks 7th in points allowed, so their opponents are throwing up a lot of shots. Yet the Cougars rank 245th in blocks per game (2.9). Enough said. So what if every player was playing Haws level minutes? The table below shows the P40 for each player based on their production thus far. These numbers are inherently biased and flawed because garbage minutes are usually filled with people simply dribbling out the clock so those with fewer minutes thus far this season should have lower P40 numbers than those with more significant playing time. Also, once you foul out, you foul out, so Worthington, Kaufusi, Nielson, Nixon, and Sharp really wouldn’t have produced as much because they wouldn’t be able to get to 40 minutes. The “by-committee” approach will have to continue until our bigs can learn to play without fouling so often. Our four BIG bigs (6’10” or taller) do a serviceable job rebounding (roughly 10 rebounds per 40 minutes) and average about 1.5 steal per game. They don’t get many assists but bigs never do. Where BYU should see some major red flags is in the blocking and scoring categories. 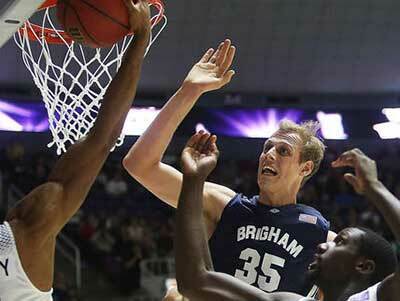 BYU bigs simply don’t protect (or even like) the rim. The 0.8 blocks per game (per big) would rank BYU dead last in the country in blocks per game—thank goodness we have a few guards blocking shots. The turnover margin for our bigs is outstanding (only 1.6/game) but considering the group is only attempting 6.7 shots per game there is probably room for improvement. We can forgive Kaufusi and Nielsen (the worst offenders) as they are shaking off mission rust and learning the system. Most alarming is that BYU ranks #1 in the entire country for points scored yet BYU bigs are only contributing 10.6 points per game, or less than 12% of the total production. They need to stop shooting threes but start shooting more in the post. The lone non offender is Isaac Neilson who has over-performed in almost all areas, but especially as a shooter. MVP so far: Isaac Neilson. Nielson’s per 40 line is pretty impressive. It reads 18.6 points, 10.5 rebounds, 1.6 steals, 1.6 blocks, 1.6 turn overs. Clearly this recently returned missionary has earned the right to play and will hopefully see more minutes as he continues to develop. I think at this point it is clear that Andrus, Sharp, and Nixon will see little to no minutes in the regular season. That means the “by-committee” big section of Austin, Worthington, Kaufusi, and Nielson will all see slight increases in minutes. Of those Austin and Worthington have been around and we know what to expect from them, while the Kaufusi and Neison are still in-development shaking off their mission rust but showing plenty of potential. BYU insider’s recommendation moving forward: Less minutes to the established under achievers (Worthington), roughly the same amount of minutes for Austin and Kaufusi, and increased playing time for Nielson. What do you think? Have I missed any key statistics (e.g. charges taken) that would change my conclusions? Does Austin’s “grit” and willingness to dive on the court buy him more minutes? Who is your MVP?